The best thing to follow up a lovely meal is an even better dessert, but surely that’s not possible when you’re following Slimming World? Think again! 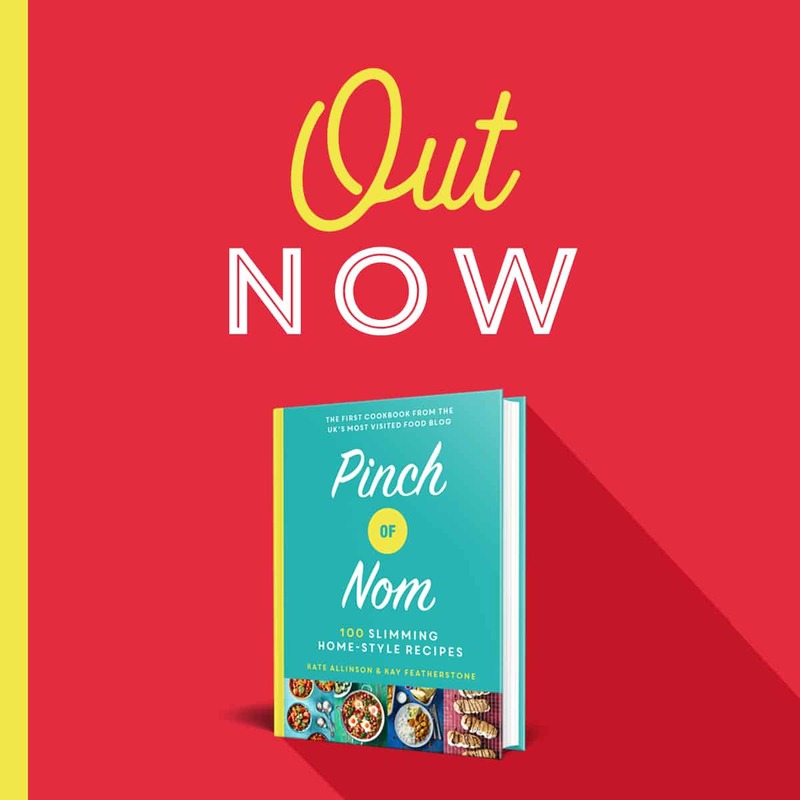 Here at Pinch of Nom we’ve got a huge variety of Top Slimming World Dessert Recipes. 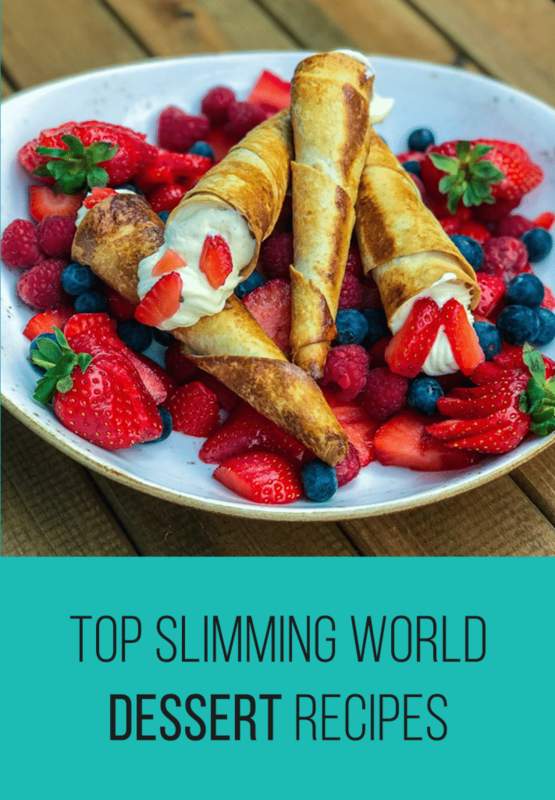 Whether you’re a budding baker or a fan of something a little more fruity, we’ve got top Slimming World dessert recipes to suit you and your family. Our dessert recipes are all low on Syns and can be enjoyed as part of the Slimming World Extra Easy plan. Let’s get things kicked off with an absolute bang, undoubtedly one of our most popular top Slimming World dessert recipes, it’s our Low Syn Chocolate Brownies. They more than likely need little introduction seeing as so many of you love to make them every week! 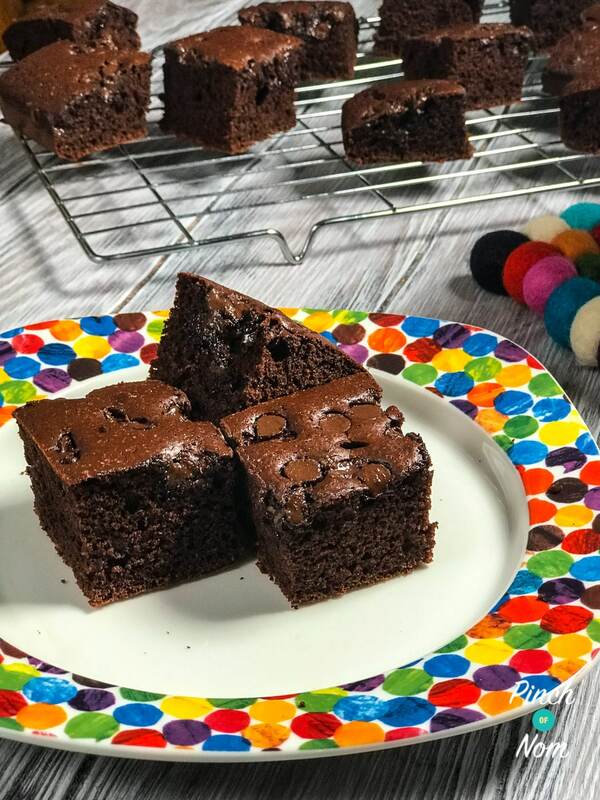 Low Syn Chocolate Brownies are a fantastic recipe to use if you’re craving a chocolate fix, but wanting to remain well within your Syns allowance. 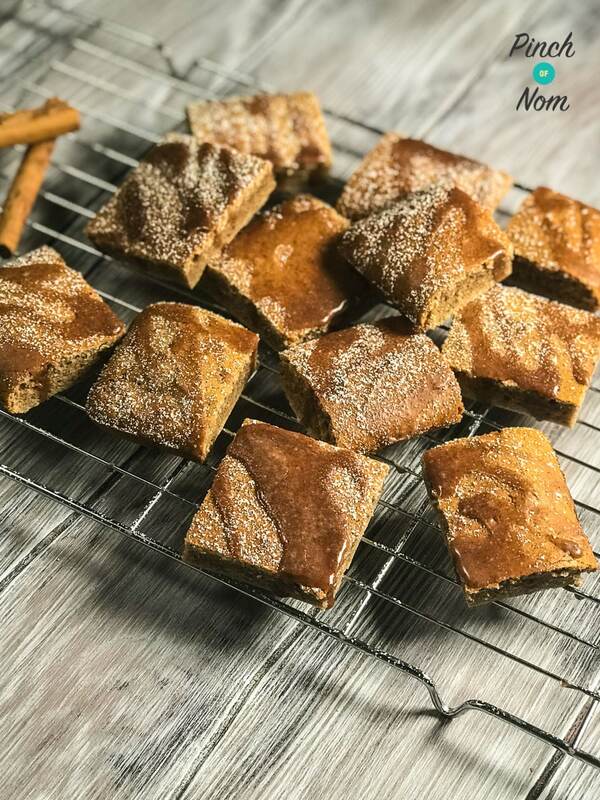 The recipe makes 16 servings, meaning they’re fantastic for portioning out over the week, for sharing (if you really want to…) and they’re fab for Slimming World group tasters, too! 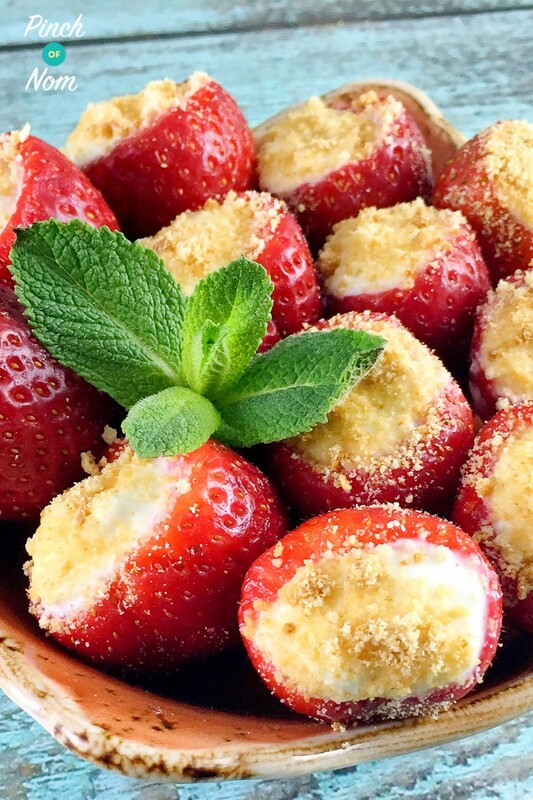 Our recipe for Low Syn Cheesecake Stuffed Strawberries was one of the very first recipes uploaded to the Pinch of Nom website when it very first started, so it’s got a special place in our hearts! 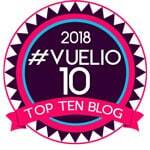 So it clearly had to be included as one of our top Slimming World dessert recipes. As well as being super tasty, Low Syn Cheesecake Stuffed Strawberries are a Speed Food dessert, even better! They’re very easy to make once you’ve got the knack of filling the strawberries, you’re onto a winner. A recent addition to our top Slimming World dessert recipes, but that doesn’t mean it’s any less popular with you lot! Our Syn Free Cream Horns are are great way of using your Healthy Extra B allowance using the wrap, helping to keep the Syns really low. And look at them! Low Syn Cream Horns really do look and taste like something you’d get in a proper bakery, but without the bazillions of Syns that the real deal would set you back. With just a few vital ingredients and bits of equipment (all listed in the recipe), you’re set to make this fantastic dessert. If you’re after a cake fix on Slimming World, then look no further! 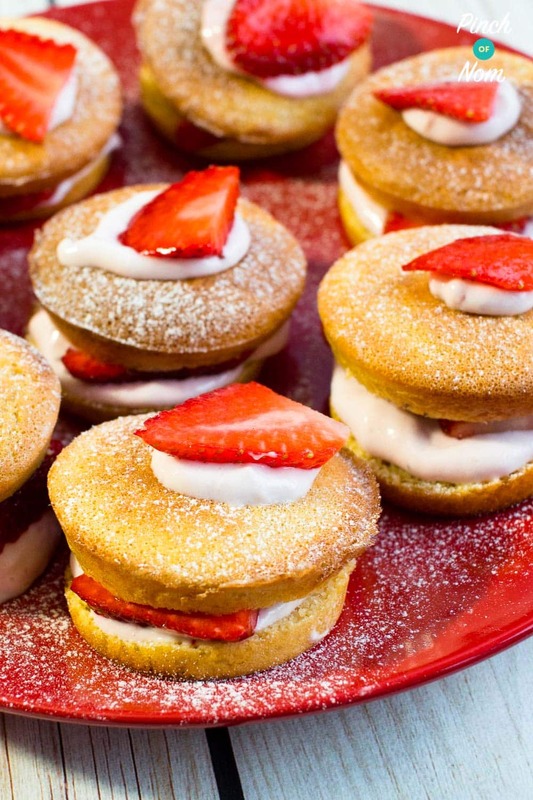 The next of our top Slimming World dessert recipes is our Low Syn Mini Strawberry Sponges. As with many of our top Slimming World dessert recipes, Low Syn Mini Strawberry Sponges are fantastic for taking to a Slimming World group taster session. They’re equally as good keeping them at home and not sharing them at all, we won’t tell. Who’d a thunk that you could have profiteroles on Slimming World?! Next on our list of top Slimming World recipes is, of course, our Low Syn Profiteroles. 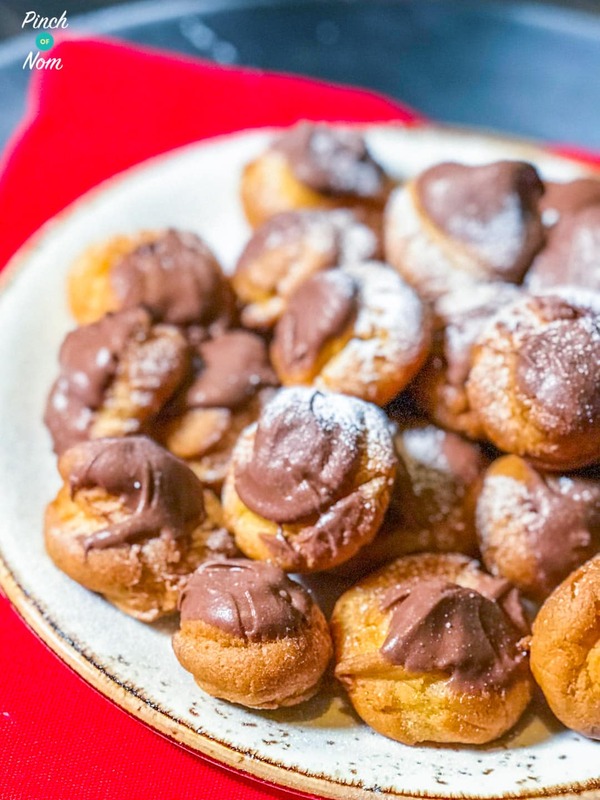 We’re not going to pretend that these are an absolute doddle to make, but as long as you follow the recipe word for word, our Low Syn Profiteroles are something that you can quickly get the hang of and create time and time again. And they’re gorgeous, obviously! 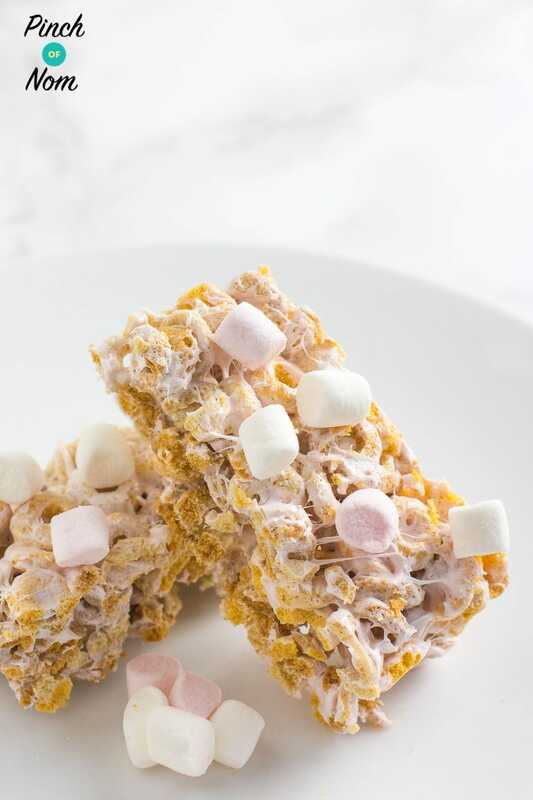 Next up on our round up of top Slimming World dessert recipes is our Low Syn Marshmallow Bars. These were created by one of our Facebook group members and they’ve been adored ever since. Lots of you like to make these for children and adults alike! The Syns for these Low Syn Marshmallow Bars are so much lower than anything similar you can buy in the shops. They’re also really easy to make, so go and give them a whirl! We like our top Slimming World dessert recipes to be easy to make, and beautiful to taste. Low Syn Cinnamon Drizzle Squares are no exception to these stipulations. The recipe makes plenty of portions, so they’re great for an easy after dinner dessert, a picnic or taking to a Slimming World group taster session. Needless to say, Low Syn Cinnamon Drizzle Squares are great if you’re after a spicy, cinnamon kick to your dessert. Try them out! 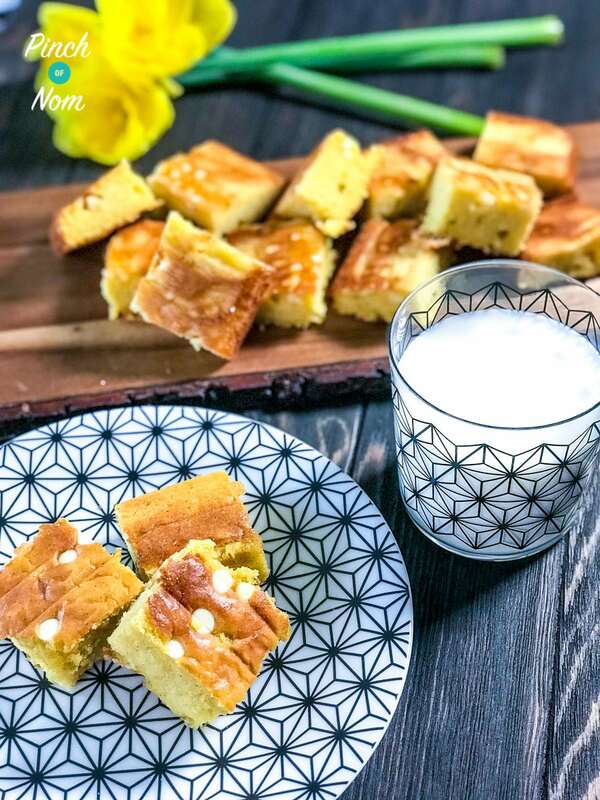 If you thought that having brownies on Slimming World was living on the edge, then the next of our top Slimming World dessert recipes of Low Syn White Chocolate Blondies might tip you over that edge! As you can see, they’re delicious. Low Syn White Chocolate Brownies will be sure to impress anyone who tries them. As with the brownies, the recipe makes loads of portions. 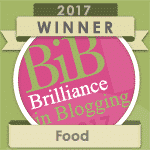 So you’re getting lots of value for your Syns, and a beautiful dessert to boot. 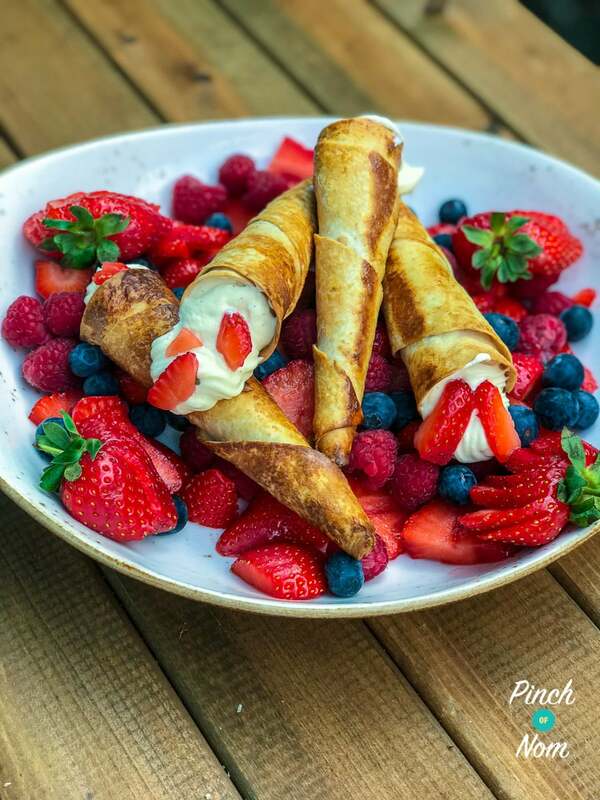 Time now for another of our top Slimming World dessert recipes that makes great use of your Healthy Extra B allowance in the form of Weight Watches wraps, it’s our 2 Syn Apple Strudels. If you’ve been craving something similar that stares at you through the window of a bakery, then you need look no further. 2 Syn Apple Strudels look fiddly to make, but they’re pretty simple! You’ll impress anyone who you dare share them with. Our Low Syn Banana Break with Chocolate Chips had to be included in our top Slimming World dessert recipes seeing as so many of you love to make these on our Facebook group and Instagram. 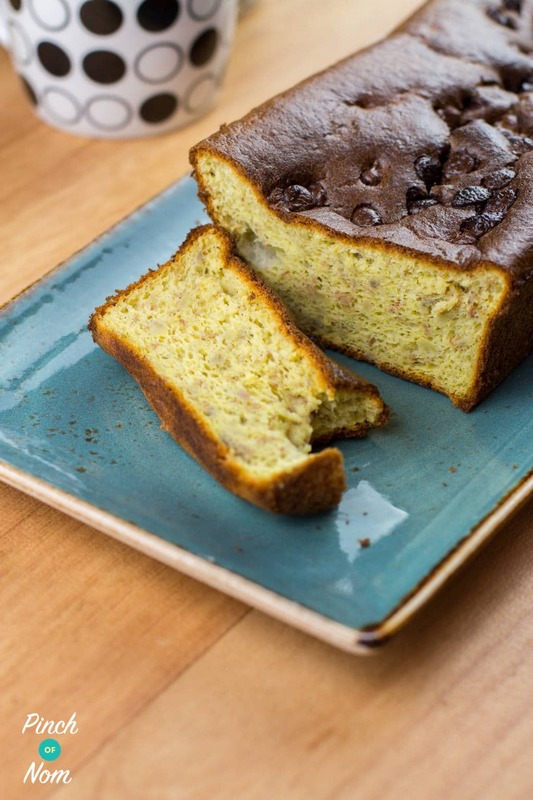 Banana bread has long been a way of using nearly-useless bananas before they’re sent to a banana-y grave. This Low Syn Banana Bread with Chocolate Chips means you can still continue this banana-saving process whilst still being mindful of Syns. Perfect! Something every so slightly different now for our top Slimming World dessert recipes, if you’re after something thats super refreshing and light, look no further than our Low Syn Bellini Popsicles. 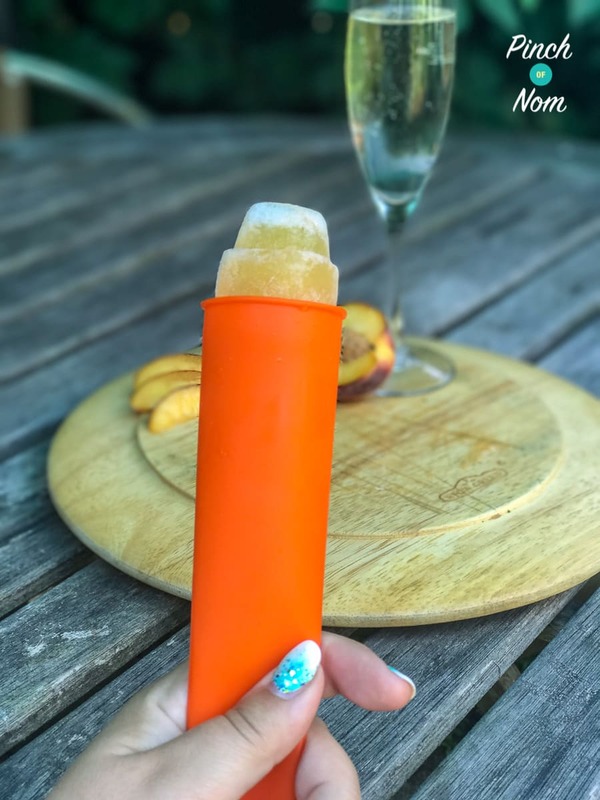 Think Calippo for adults, Low Syn Bellini Popsicles contain actual real life alcohol in them, so they’re for grown ups only! Fantastic if you’re entertaining outdoors or wanting a dessert to cool you down in the warm weather. They’re really easy to make too. 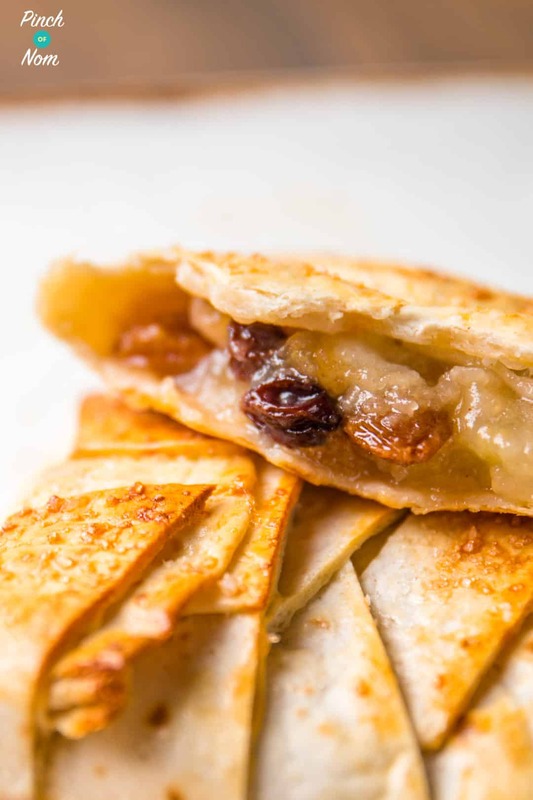 Last but not least on our collection of our top Slimming World dessert recipes, it’s our 1.5 Syn Apple Turnovers. Again, another of our top Slimming World dessert recipes that uses Weight Watchers wraps as your Healthy Extra A allowance. This also means that 1.5 Syn Apple Turnovers are a satisfying and filling dessert. great if you’re having people over for a meal and wish to create a dessert that will appeal to all. That’s whether they’re on Slimming World or not! 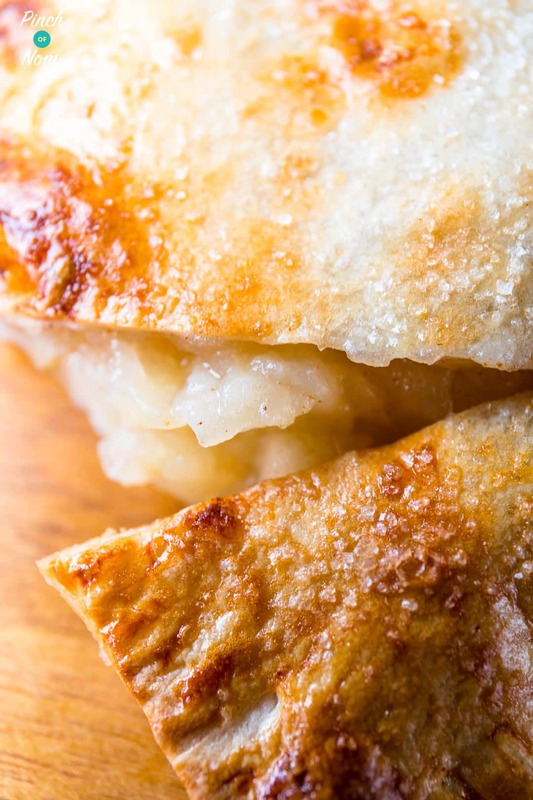 1.5 Syn Apple Turnovers are portable too, if you were to pop them in a sealed container they can make a fantastic dessert option when you’re on the go or in a packed lunch.